Originally published on Phare the Cambodian Circus Blog. “Cambodia was devastated by the Khmer Rouge in the 1970s. The brutal regime closed schools and executed intellectuals. Foreign aid and investment have helped the economy grow rapidly in the past decade but its education system and overall development remain stunted. Even today, most Cambodian children drop out of school, according to 2014 government statistics that show 95 percent of children enter primary school but only 20 percent finish secondary school. Poverty is the main problem, especially in rural areas, where children are pulled out of school to help support their families, according to UNICEF, the U.N. children’s agency.” Jocelyn Gecker, Associated Press, March 2015. Every Phare, The Cambodian Circus artists trains at Phare Ponleu Selpak (PPSA) school in Battambang, Cambodia. In addition to circus training, PPSA provides free public education to children from the age of three and up. 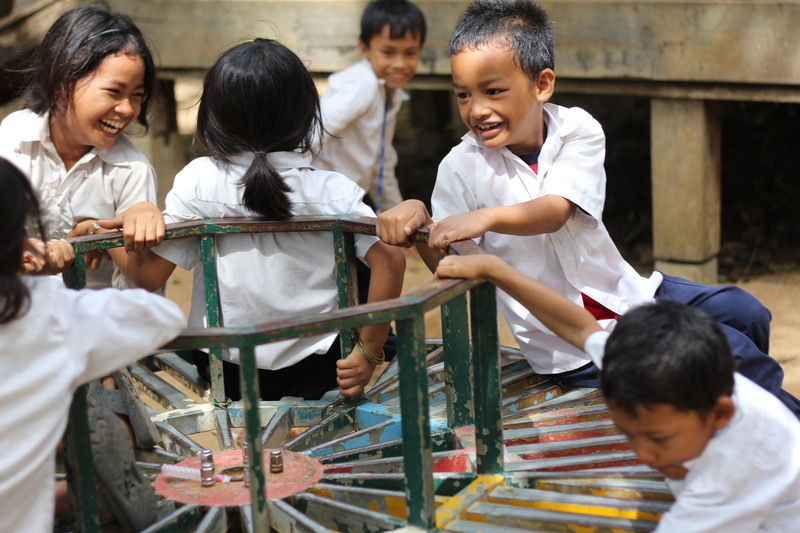 Caroline Guillet, Fundraising Officer at PPSA shares some insights into the educational system of Cambodia and especially the impacts of early childhood education. 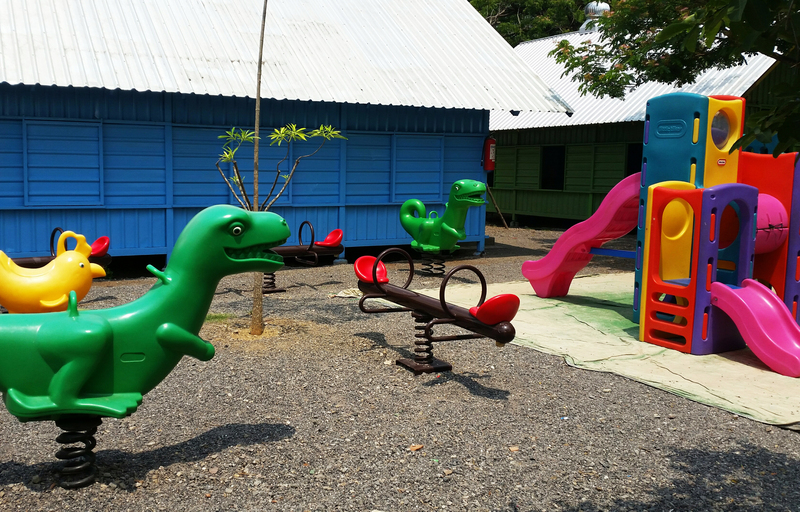 The pre-school kindergarten at Phare Ponleu Selpak, with its colorful playground, its rocking dinosaurs, and 192 tiny students, are the pride of the organization. The kindergarten is free of charge, and open to children aged three to five from the local community. Pre-schooling is a fundamental part of a holistic approach to education and a pre-school education, especially kindergarten, is a crucial part of a child’s development. It has been shown that the cognitive and behavioral development of children who attend kindergarten is much better than those who don’t. However, although 27% of Cambodian children receive a home-based or community-run preschool education, only 12% attend a kindergarten (UNICEF, 2007). Cnoeut Chamrong, of Phare Ponleu Selpak’s Education Department, explains: “The first role of the kindergarten is to teach the very young children to separate from their parents. When they enter kindergarten at the age of 3 years old, they cry every day for the first month every time their parents leave them. At the end of the year they cry less, and speak more. They also become more and more proactive in the various activities”. They are better prepared both behaviorally and academically, allowing them to deal a lot better with the challenges of attending primary school while also ensuring higher results. As a consequence, children who have attended kindergarten tend to stay longer in school. 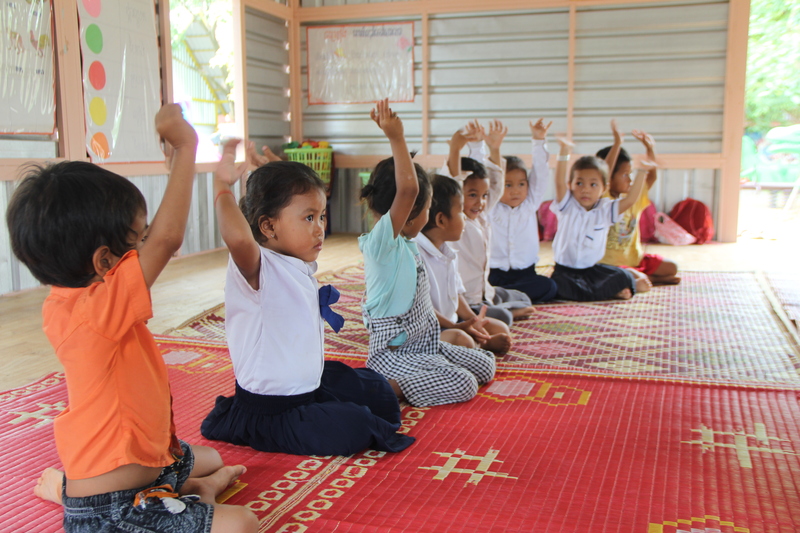 In Cambodia, only one child in two goes to secondary school, and we believe that pre-school education has an important role to play in addressing school dropout rates. Phare Ponleu Selpak welcomes the young children daily for a half day. Hosting young children on site has had positive and unexpected results for the whole community. Thanks to the kindergarten, parents have more free time to work and many have developed small businesses. Older brothers and sisters, who had to spend time looking after their younger siblings, now have free time to focus on their own study and improve their academic results. A big part of running a successful kindergarten program is engaging with the parents of the students. Phare organizes quarterly participatory meetings with the parents to inform them about the study results, achievements, and development stage of their child. Parents are asked to bring their children to school and pick them up every day. “The parents have to come to give the child more encouragement to study.” The more that parents are involved in their child’s education, the better the chances that they will stick with it into high school, and perhaps beyond. Since the construction of our kindergarten in 2013, we’ve been thrilled with the impact this activity has had on both young children and the community. Over the past two years we have focused on reinforcing the kindergarten’s infrastructure, in order to create a nurturing and enabling environment, while training our teachers. Learn more about Phare’s kindergarten program here.